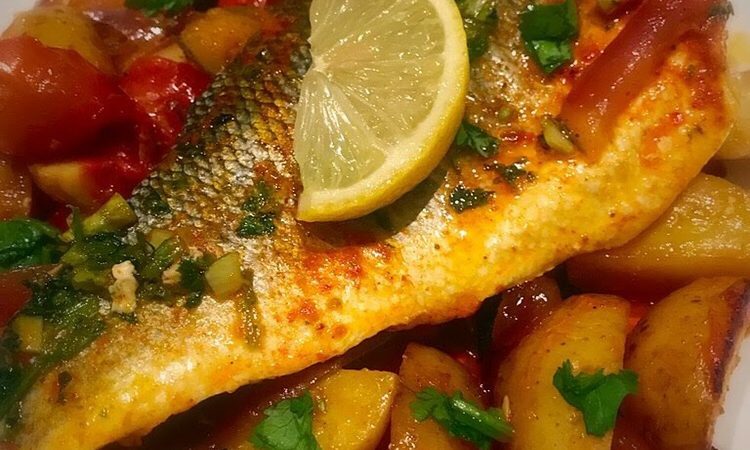 A few weeks back I posted a picture of my Harissa Seabass and roasted vegetables on my instagram and it proved to be really popular, so popular in fact that 90% of the people who took part on my poll said they wanted a step by step, which can be found saved over on my Instagram stories. I thought some people might prefer to have it written down so here it is! Harissa is actually one of my favourite spices to cook with, I just love how versatile it is and how it came make the simplest ingredients become something exotic. 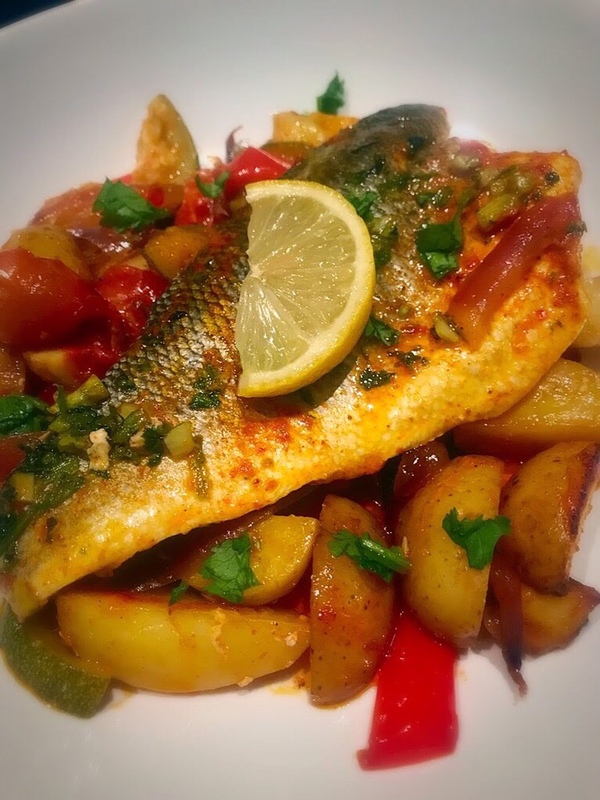 It goes amazingly with Seabass and that’s the fish I use for this recipe. Start by preheating your oven to 200degrees. Chop all your vegetables except for the spring onion, I like to just rip it with my hands so it’s still long rather than small pieces. Drizzle some olive oil on it and add 2 teaspoons of Harissa, season with salt and pepper and mix well using your hands. Roast for 30 minutes or until our potatoes are cooked. 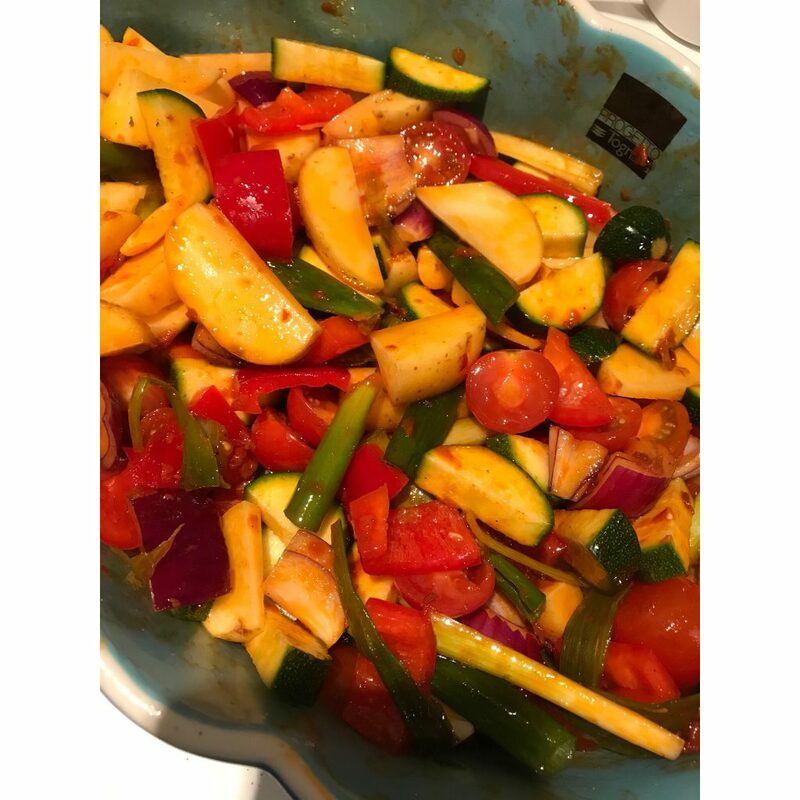 Rub a teaspoon of Harissa on your Seabass until it is coated in it, and place it skin side up on top of your vegetables. Put it back in the oven for 10 minutes or until the fish is cooked all the way through. Spray or drizzle some lemon juice on it, garnish with a lemon slice and some coriander and enjoy hot! If you want to have a say in what my next step by step should be follow me on Instagram and keep an eye out for the poll!